Kaithu house is a 2BHK apartment located near Tarahall Bus Stopand Victory Tunnel Bus Stop. The apartment has two rooms, one sitting room along with the dining hall and kitchen. The rooms are clean and spacious and are furnished with amenities like room heater, geyser and television. 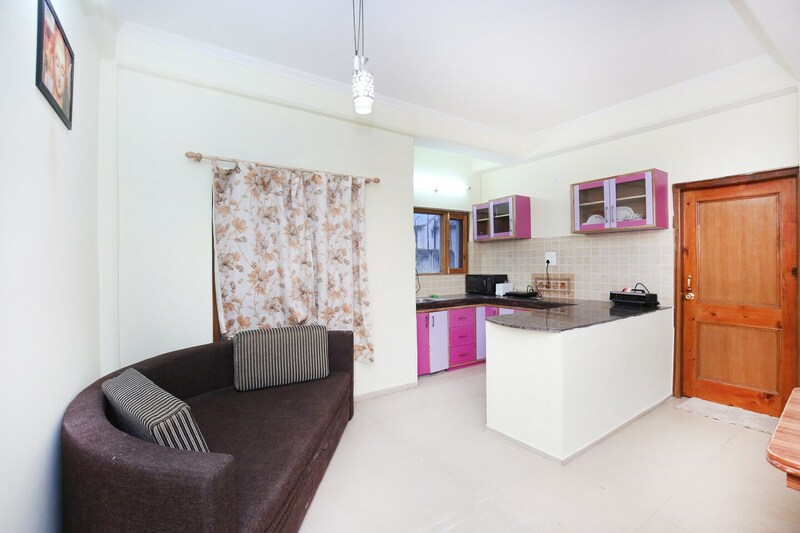 The kitchen includes microwave, RO, geyser, induction cooker and refrigerator for your comfort. The apartment has a running balcony that provides a Beautiful view of the surrounding hills and greenery of Shimla. Ideal for families and groups by staying in Home Kaithu you will be able to experience the beauty of Shimla in a relaxed and comfortable manner.